visitors programs and cultural exchange. Kakao is opening doors and communicating with users through the Space visitors program and cultural exchange. 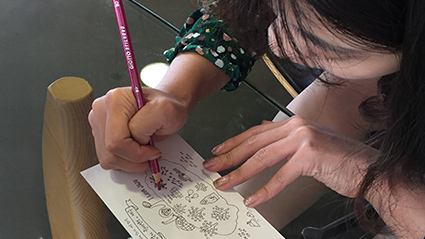 Kakao has opened our doors to visitors who are interested in Jeju and Kakao with our headquarters visitors program “Travel Day”, which is provided to visiting groups, and by holding exhibitions for young Jeju artists. Travel Day in Jeju is Kakao’s visitors program for those visiting Kakao headquarters in Jeju. 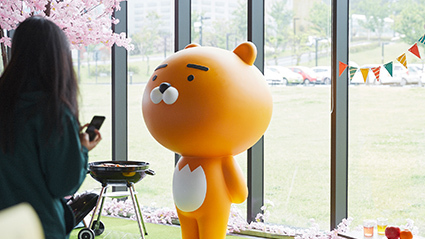 Kakao’s Jeju office consists of ‘Space.1’ and ‘Space.2’, Kakao’s office areas for our free-spirited Kakao Krew, ‘Space.House’, a guest house that feels like a home away from home, and ‘Space.Kids’, a daycare center for Kakao Krews’ children. Kakao’s Jeju office, which is located on the hillsides of Mount Halla, is a unique work of architecture that marvelously blends in with its beautiful natural surroundings. It’s a must-see place for all Kakao visitors. 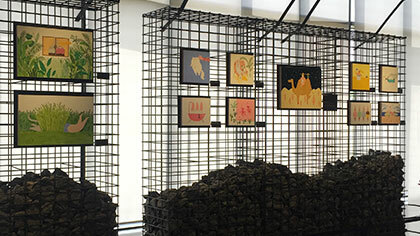 Kakao welcomes Jeju’s young artists to exhibit their work at ‘Gallery.1’, located inside Kakao’s headquarters in Jeju, and also provides posters and other PR material for their exhibitions. 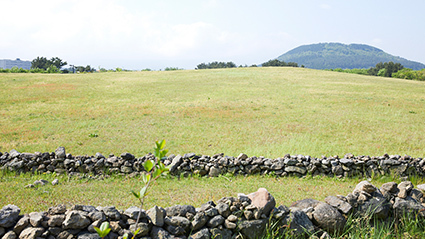 The quality work of native Jeju’s artists and artists who have relocated to Jeju is promoted through Kakao’s comprehensive exhibition support program, allowing artists to communicate with the local community.